I have a similar question : "Mysensors vs Bluetooth BLE". More specifically, what was the point to develop the mysensor protocol when BLE is available with very low cost modules (which is not the case for zigbee in general much more expansive) ? Is it that BLE is constrained to remain on 2.4 GHz when mysensors protocol can run on many frequencies kind of transmitters ? Is it that mysensors can be even cheeper ? As far as i have understood a similiratity is that both are not IP based nor mesh protocols. i also just realized that there is a special AREF pin intended for what i was thinking about ... but it's not available on the mini pro. wow! fantastic! ... the github link readme warns that it's not yet fully ready but the interface is already impressive! I still have the same question i had for nodemanager though : for measuring another battery than the one that feeds Vcc obviously another pin is needed, however why not propose as well the option of measuring such pin voltage but with Vcc as the reference rather than the internal 1.1V which most of the time makes necessary a voltage divider ? Actually i did the modification in nodemanager.cpp to use DEFAULT (~3.3V) rather than INTERNAL (1.1V) reference for a 3.3 pro mini and i can get the expected battery level without any voltage divider. Another unrelated question i have is : could there be any way to adapt the idea of the readVcc method (which is to measure the internal 1.1V against the Vcc reference to get Vcc) but using any voltage applied to a pin as the reference to again measure the internal 1.1 against it ? This would allow the masurement of any voltage greater than 1.1 without voltage divider while the usual method would be applied for measuring any voltage lower than 1.1 ... what did i miss that makes this impossible ? After testing some functionalities of nodemanager, i was wondering if already somebody was working on making a GUI for nodemanager which would allow to build one's sketch completely from a graphical interface (at least the most common and basic functionalities) : i thing the great work that resulted in Nodemanager has so well structured the various functions needed that it has already paved the way for creating such a graphical interface. i'm currently testing the functionalities of node manager as for battery monitoring. void setBatteryInternalVcc(bool value) in case bool =true is only to measure the Vcc the arduino is powered through. To measure another voltage , for instance the input voltage Vbatt of a step up regulator that feeds the arduino, Vbatt then being the actual battery voltage, we have no option except using bool = false and use a voltage divider to measure Vbatt on a chosen arduino pin with 1.1V as the reference. What i don't get is why you propose this : would there be any benefit of such an ethernet gateway (if the specific mysensors protocol is actually useless) over a mere arduino with sketch for GPS_GSM tracker module ? BEST: GSM on pins 8 & 9 (AltSoftSerial), GPS in pins 0 & 1 (Serial). Disconnect pin 0 to upload. 2nd BEST: GSM on pins 0 & 1 (disconnect pin 0 to upload), GPS on pins 8 & 9 (AltSoftSerial). 3rd BEST: GSM on pins 8 & 9, GPS on any two pins with NeoSWSerial. However the GPS mysensor sketch is (surprisingly) using analog pins for the software serial ... is the limitation on two ss unable to listen at the same time circumvented this way ? which Lorawan module do you have ? RE: Which 12V solar charger solution ? Which 12V solar charger solution ? thanks , i will use 2N2222 because the valve needs between 200 and 400 mA. thanks, but do you mean that the schematic simply would not work for the regular valve or that it would work but not be low power cinsumption design anymore ? As for the transistor in the schematic, except it seems to be a NPN , i don't know if i need a particular one for it . probably i can just buy a 2N3904 , or is there a better choice? I was looking for a solution for a low consumption relay and i was adviced in this thread to use a latching relay. looking at the schematic from post #2 in https://forum.arduino.cc/index.php?topic=436555.0 may be i coud just have my solenoid valve directly in place of the relay in the schematic. In other words , i just need a transistor and not a real relay ... just because my application is a low voltage (12V to apply directly to the Vcc in the schematic) rather than 230V one: can someone confirm ? There is a diode in the schematic : what is it needed for ? @gohan can you explain the benefit (for a low power app) of a relay switching on electrical pulse rather something else ? @mfalkvidd smartsleep was not supported by domoticz at the begining of the year ... but there was a domoticz upgrade in july ... do you know if it's now supported ? since the relay has leds and is therefore power consuming, i was wondering if someone has written a sketch for a low power usage of the relay (as for the sensors) allowing the arduino (and the relay) to sleep all the time and wake up every 5 minutes for instance just to check if the controller has changed the desired state of the switch. @zboblamont just to be sure i understand : the 5V echo from the sensor is because in the case you are speaking about the sensor is still powered in 5V even though it receives triggers in 3.3V ? Logical lvel IO: 3.3V / 5V. so are you really sure guys that it does not work on 3.3 ? the HC-SR04 distance sensor needs 5v so i can't use the 3.3 mini pro. I was just wondering if it also makes sense for the 5V minipro to remove leds and regulator to have a long lasting set of AA battery in series with this arduino.... wondering because so far i only saw this method adviced for the 3.3 mini pro. For the 5V arduino what is the best strategy to power it : 3 AA = 4.5V or 2 AA =3V and 5V step up boost module ? @mfalkvidd Thanks for the info, i don't know much about LoraWAN , but the modules seem much more expansive than SIM800 GSM. for a DiY GPS tracker in a vehicle, the low energy consumption is also less crucial if the GSM is only used when motion is detected (GPS coordinates change). However If the receiver is also a GSM node connected to a gateway i'm wondering wether we could keep the mysensors protocol being understood that it's just a matter of replacing the usual NRF24 communication by a GSM communication. There might be a simpler and more natural way but i don't know it . what should be modified if i want domoticZ to treat the two sensors separately ? (this is for Yana, a speech recognition software that has a plugin for domoticZ, but apparantly is not able to handle several values for a given sensor). is it the sendSketchInfo("TemperatureAndHumidity", "1.1"); that needs to be replaced by two sendSketchInfo, one for temp and one for humidity ? the delay 500 has a big effect , now i get 116% hence a battery voltage=3.5V, while the multimeter gives it 3V ! may be the internal reference is not 1.1V in my low cost chinese pro mini 3.3v . @sundberg84 thank you but as i said i did no modification to the sketch in https://www.mysensors.org/build/battery appart merging it with a DHT11 sketch. However i did notice something strange: when i switch on the arduino (sensor side) the first percentage i get in DomoticZ was 102%, then at the next update it fell to 60% and has not changed since then. I'm suspecting there is something wrong measuring the battery level from A0 pin just after sending a temperature value ?? Hello, i'm using the sketch given here https://www.mysensors.org/build/battery without modification to report battery level to domoticZ. obviously i can't use the Vcc library because the voltage i'm monitoring is the battery voltage, while the arduino is fed through the step up regulator at a stable 3.3V. I 'm not sure to understand then why domoticz shows 60% battery when my battery level is actually at about 3V so i would expect 3/3.44 = 87% . So i'm suspecting that sendBatteryLevel(batteryPcnt); does not actually send batteryPcnt as computed in the sketch but a rescaled percentage in order to match 0% when the battery will be at about 2.7V .... can someone confirm ? where can i read the actual void sendBatteryLevel() to understand what it is doing exactly ? Nobody can answer whether fthe lost connection will be recovered automatically after some time? I did a few tests to figure out up to what distance my NRF24 would be able to transmit the temperature of my dht temp sensor, this for different PA_levels. So for better testing i modified the sketch for the sensor to send it's data any 2 seconds. What i don't understand is that when the signal becomes too low and the gateway does not anymore receive the data, the connection is lost and transmissions do not restart even if i come back near the gateway .... is this normal , what is the logic behind this?, would the transmission be automatically restarted after sometime (i did not wait much)? : with a power cycle the sensor arduino recovered the connection...(represented itself to the gateway) . Now that i have received pro minis 3.3 i can practice ! i just tried to cut the trace to the LED with a cutter, ... but the LED remained shining after several deeper and deeper attempts .... so i just removed the LED, but now my mini pro is not responding anymore: dead! There is just something that is not yet completely clear for me for this recommended usage of 2 AA batteries in series. so i remain a little bit confused as for the actual usefullness of such step up regulator : is it only usefull in a project where sensors are transmitting very often so that the sleeping current is not the dominant factor reducing battery lifetime ? also has the problem of a large internal resistance ? sharp drop of voltage again because voltage ~ 4.5 V still too much greater than 3.3 ==> bad regulator efficiency , right ? eventually it also appears that i have ordered step up regulators for nothing unless ... in which case might these be usefull and operate for a longtime ? just to be sure , if i keep the regulator what you say about connecting power directly to Vcc is in case the power is provided by a single CR2032, right ? About your third other points (BOD modification) : this is necessary in case the voltager that the atmega eventually receives (either through RAW without regulator , or through Vcc) is lower than a regulated 3.3 V, do i understand well ?
" Is it really necessary to remove the regulator ? my previous message linked to an analysis according to which even with a regulator like LQ33 (what about LG33 ?) the arduino could last one year on CR2032 ..."
it's not really mandatory to remove such regulator to get long live CR2032... no objection around ? and if i can keep the arduino regulator (with no step up regulator) i could still use two CR2032 in series , true ? 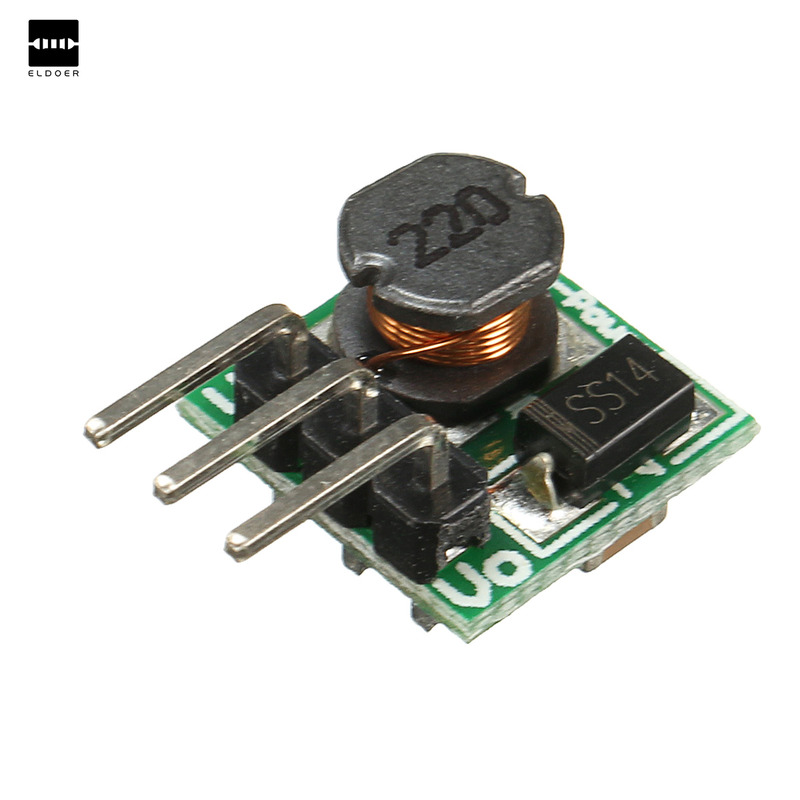 I'm wondering if CR2032 is an interesting option for powering a pro mini 3.3V (needs the step up regulator) running the temperature and humitidty sketch on this site for a DHT11. if it's no more than a few weeks i would extrapolate that there is actually not any sensor project where the CR2032 could be actually an interesting option in practice right? so what is the best powering option (and arduino) to have such kind of sensor (sleeping almost all the time) running at least 1 year on a battery ? a standard 12V battery on a nano Vcc ? and would like to try them with the USBgateway sketch on my nano arduino (mini pro sensor side) and domoticZ . How should i modify the sketch for those simple 433 MHz RF ?